The best kept lakefront secret! Small townhome community with pool and docking located adjoining a golf course. This 3 BR/2BA townhome is immaculate and tastefully appointed. Panoramic lake views highlight both first and second floor, stacked stone fireplace, first floor BR with built ins, large pantry, new engineered floor throughout the first level. Out to the lakeside with two decks, storage under the townhome and a shed built into the crawl space. 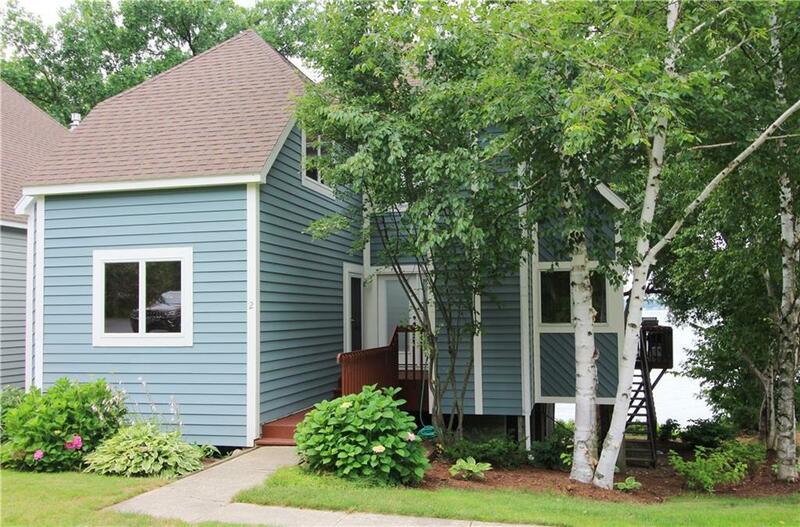 The second floor features a large master with awesome lake view, another bedroom, bath, laundry and storage. Attic storage adds to the convenience. This home is being sold partially furnished. The neutral decor is light and pleasing. Call today for your private showing. Directions To Property: Take Rt 430 To The Villas. Look For Directional Signs.